“I recently attended my first TSA conference event and having the opportunity to network with like-minded people is one of the reasons I wanted to join TSA. I thoroughly enjoyed the day and found the discussion topics both useful and relevant.” Mark Beaver, Mark Beaver Surveying. Based in Bury St Edmunds, Suffolk, Mark Beaver Surveying specialise in topographic and measured building surveys, site setting out and movement monitoring. Working with consultants, main and sub-contractors in the residential, commercial and civil engineering sectors, the company regularly undertake the initial topographic survey and then the setting out of the proposed scheme using the consultant’s design drawings. New Supplier Member, GAP Hire Solutions stocks a wide range of plant, tools and equipment used by customers across different sectors including, construction, civil engineering, infrastructure and events. Their products and services are available nationally through a network of 140 depots. The company invests up to 50% of its annual turnover into new products and can offer tailor-made services to suit individual customer needs. Formby Surveys provide state of the art precision measurement services nationally and internationally to architects, civil and structural engineers, property developers and construction professionals. Based in Liverpool (with a London presence), the company works across all sectors, utilising the latest technology and workflows to provide all forms of measurement surveying, including 3D modelling, laser scanning and 360-degree photography, as well as traditional land surveying services such as topographical surveys, GPS and terrain modelling. TSA now has over 180 companies in membership as full, associate, supplier, affiliate or academic members, all directly involved in the survey business and listed on the website. 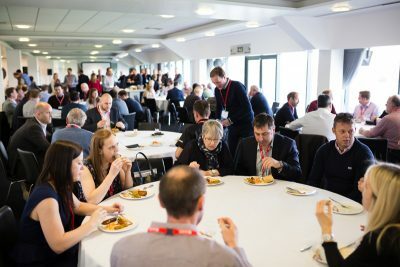 TSA runs a portfolio of free business and technical seminars for Members throughout the year, as well as themed Conference events featuring expert speakers from the survey profession. The next TSA Conference takes place at Holdenby House, Northamptonshire, on 7 November 2018, when the theme will be, Surveying Iconic Structures. Members will be invited to register closer to the date. Would you like your company to be featured on the TSA blog? You can get involved with our campaign to highlight our Member companies and what they do – whether you have been in Membership for years or have just joined.